Air Conditioning Repair | Masco Appliance and Air Conditioning Inc.
Like all appliance as they age, air conditioners can become less efficient and end up costing much more in energy costs than is necessary. In southern Florida, the summer highs and mild winters mean that air conditioning systems work overtime to keep the interior of our homes, office spaces, and recreational places at a comfortable temperature. But with regular care and air conditioning repairs performed in a timely manner, your air conditioning system can last for years to come. Some of the most common air conditioning problems can be easily resolved by the experts at Masco Appliance. Common air conditioning repairs include refrigerant level replenishment, faulty wiring, and worn components. Repairing the common problems with your air conditioning unit can result in a more efficient unit that will evenly condition your home, reduce the allergens inside the air conditioned space, and reduce overall energy costs. Although certified air conditioning repair experts are generally careful to create a safe system in your home or office, some wiring problems can occur with age. You may notice that a circuit breaker trips each time the unit kicks on or the system may not work at all if wiring is a problem. Sometimes, faulty wiring becomes a problem in areas with high winds and rain, as components begin to wear out and the system loses electrical connections necessary for consistent operation. More often, faulty wiring is the result of poor installation or repairs from the past. Masco Appliance can correct wiring problems to reduce the risk of fires and electrical shock hazards. Low coolant levels can cause your unit to blow warm air into a space, leading to higher energy bills and an uncomfortable indoor environment. Refrigerants (commonly called Freon) cool the air in your air conditioning unit as it moves into your home or office. Air conditioning repair for this problem will likely include identifying and resolving a leak in the unit, where coolant chemicals are being lost. Air conditioner repairs often involve identifying and resolving the reason that an air conditioning unit is not powering on or blowing air. The most common reasons are a malfunctioning fan, a faulty thermostat, bad wiring, or interruption in power supply. Masco Appliance can help you identify the cause of these common problems and quickly make repairs to get your indoor space comfortable once again. In some cases, an air conditioning unit is too far beyond it s limitations to be part of an energy efficient system. In these cases, it may be best to avoid repair and simply replace the unit entirely. When your system is “too far gone” and repairing the unit becomes illogical, Masco Appliance can help you find the perfect Masco Appliance and Air Conditioning sells, services, and installs most brands of air conditioning systems. Our products of choice are Rheem, Goodman, and American Standard. Air conditioning in Florida is not a luxury… it’s a necessity. When your AC is not working, you need results, not excuses. Masco Appliance and Air Conditioning is the oldest and most respected appliance and air conditioning repair service in South Florida. We repair all major brands using genuine factory parts. We’ve proudly served Broward, Dade, and Palm Beach Since 1970. With 15 service vehicles, we can provide a fast response to your air conditioning repair needs. We provide 24-hour emergency service for all your air conditioning repairs. Our trucks are fully stocked. Most of the time your air conditioning equipment will be repaired the same day. 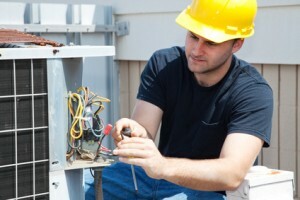 We are fully licensed and insured and our AC repair technicians are trained and experienced. If your air conditioning or AC unit needs repair, call Masco Appliance and Air Conditioning Repair at 954-523-0597. A service technician will be promptly dispatched to your home. We offer free estimates on new air conditioning systems. Financing is available. Call us today, 954-523-0597 for all your Fort Lauderdale air conditioning repair needs. Masco Appliance and Air Conditioning sells, services, and installs most brands of air conditioning systems.Our products of choice are Rheem, Goodman, and American Standard.With 15 servicevehicles in broward we can provide a fast response to your air conditioning needs.We have been in business for 34 years. We provide 24 hour emergency service.Our trucks are fully stocked.Most of the time your equipment will be repaired the same day.We are fully licensed and insured and our technicians are trained and experienced. If you should need service on your air conditioner please call one of the phone numbers belowand a service technician will be promptly dispatched to your home.